Manatee Lagoon — Song + Associates, Inc. 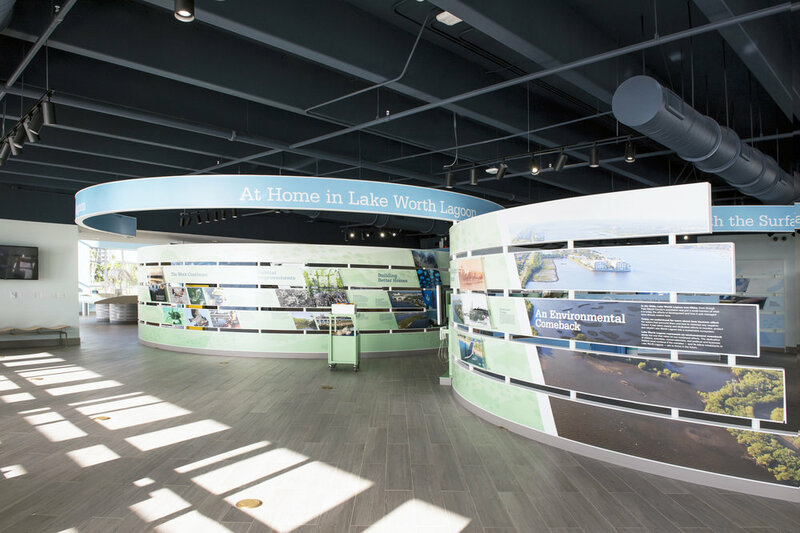 This Eco-Discovery Center sits in a park setting on the Intracoastal Waterway straddling the border of two cities. Florida manatees gather every winter in this quiet cove to enjoy the waters warmed by the newly improved electrical power plant. The site, previously a vacant lot, has been enjoyed by residents for years as an opportunity to see these ‘gentle giants’. Now, residents, school children, and visitors can learn about the ecology in an interactive education center. 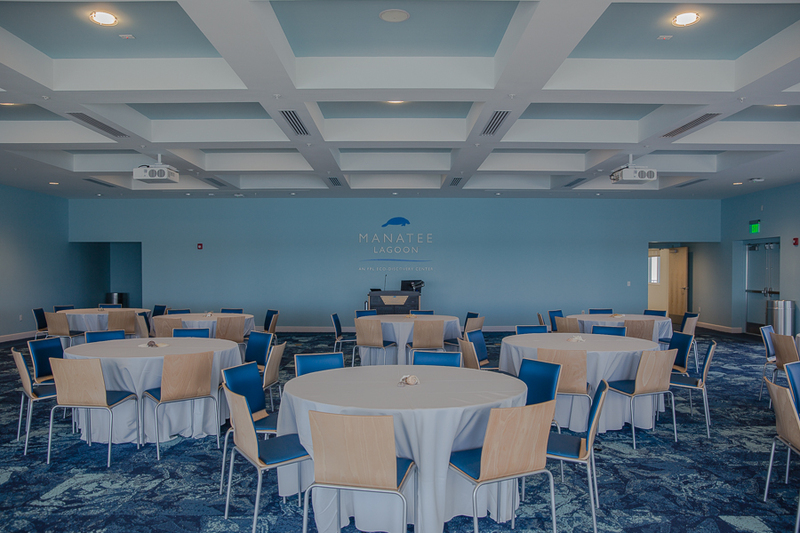 The second floor multi-purpose room, with an outdoor wrapping veranda, has proven to be a popular venue for community groups, company functions, and banquets. With the unique layout of the project site straddling two cities, building approvals had to be granted by both municipalities. The design team worked together with the client and community to address the local requirements. Though the process was challenging, the administrations of both cities supported the project and recognized its value to residents of the entire region and beyond. The architectural expression for the building was inspired by the Florida vernacular architecture of our coastal towns. Standing seam metal roofing, deep wrapping verandas, and a cupola grace the building on its waterfront site and are cohesive with the adjacent residential context. The deep overhangs provide shade and are oriented to take advantage of prevailing breezes. Events can seamlessly transition between the indoor and outdoor spaces. The site of the project sits within a quiet residential neighborhood and incorporates a park-like setting for the residents to access and enjoy the waterfront.